I had not driven the route of the Crookston Ox Cart Days parade until Saturday night. I’ve always sat on a chair in my brother’s lawn and watched. Utterly amazing, this parade that has gone on for 29 years. People were lined up everywhere. Seriously. Fifty to 75 people in some yards. Minnkota multimedia specialist KJ and I were wondering whether it might rival the University of North Dakota Potato Bowl and Homecoming parades in terms of numbers. Maybe not, but nonetheless, it was pretty amazing to see all the energy in the streets of a town of fewer than 8,000 people. The two of us were showing off Minnkota’s new all-electric Chevrolet Bolt. 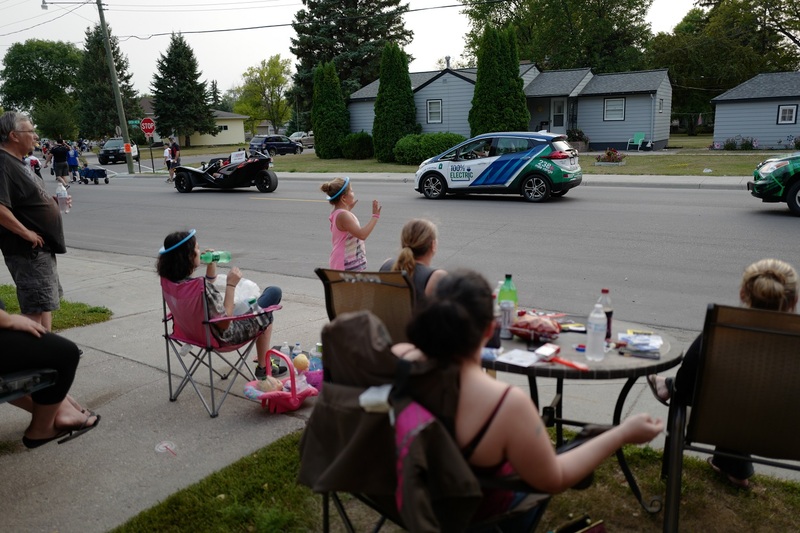 There was no shortage of spectators at Crookston's Ox Cart Days Parade. 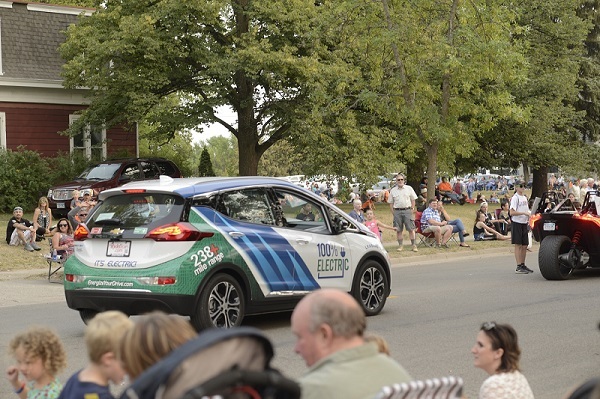 It was a great opportunity to get our electric car out into the community! 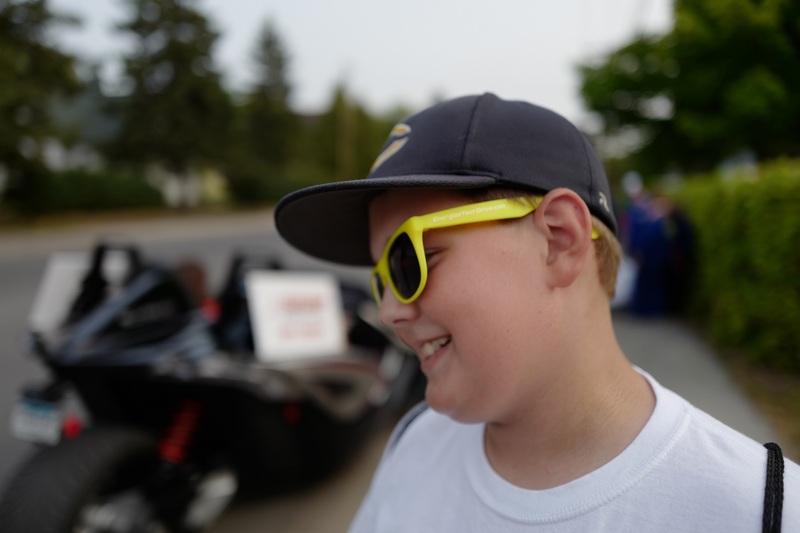 We took the opportunity to hand out some of our EnergizeYourDrive.com shades, and they were a hit with the kids. While KJ shouted, “All-electric, 100 percent, no gas,” I drove the Bolt behind the Snap Fitness entry and just ahead of iHeartRadio’s music machine. We heard a few comments as the car creeped quietly behind traffic. One guy said his brother had an electric car. “He loves it,” the man said. Why wouldn’t you? This one has giddy up. How far we have come, from noisy ox carts pulled by oxen to standalone, quiet all-electric cars. 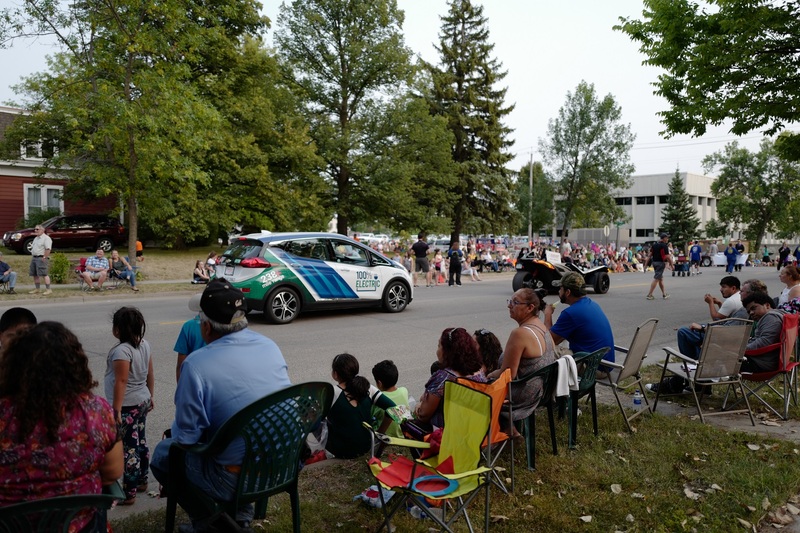 Our car got a lot of waves from the crowd, and we're excited to get more when the next parade rolls around!